For the past 3 mornings, TLCD Architecture has hosted 30 freshman high school students attending the Mike Hauser Algebra Academy, now entering it’s 7th year. 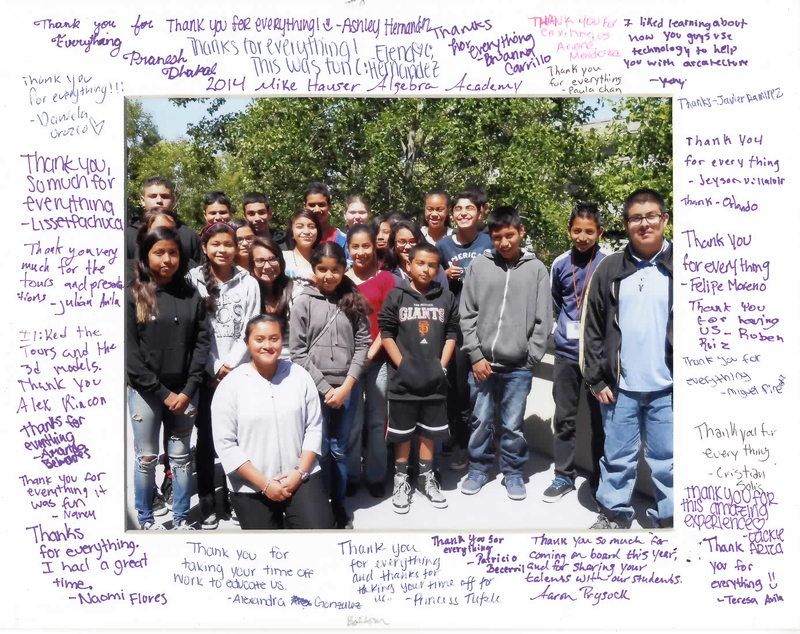 This is a tutoring program organized by the Santa Rosa Chamber of Commerce to assist students in becoming proficient in algebra to meet graduation requirements. TLCD joined other local businesses – Agilent Technologies, Medtronic Cardiovascular, JDSU, PG&E and the City of Santa Rosa Utilities Department in providing classroom space within their companies. One of the primary goals of the MHAA program is to show the students the connection between math and technology and how it’s used in the real world work place. Between instructional sessions, TLCD staff offered insights into the architectural profession with presentations on recent local projects, architectural rendering techniques, and 3D design and drafting with a laser cutter demonstration that created a personalized name plaque for each student. 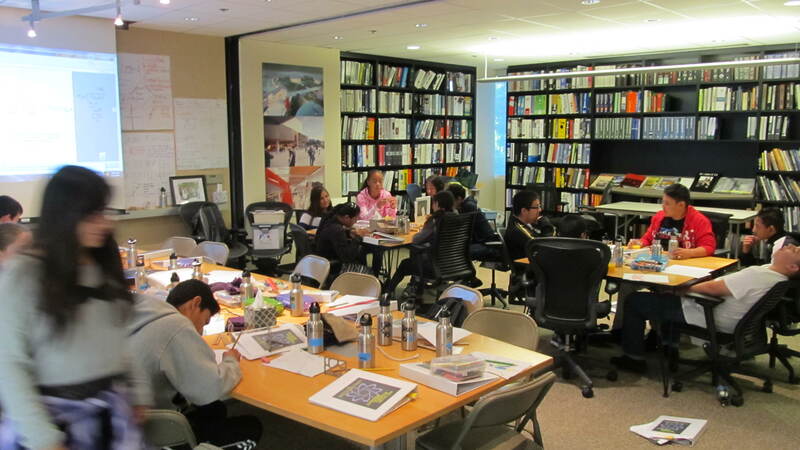 A previous MHAA session was held at the City of Santa Rosa’s Utilities Field Office, designed by TLCD and it provided an opportunity for staff to present the design and drafting efforts required to construct a physical space recently used by the students. The MHAA instructor, Math and Science teacher Aaron Prysock called TLCD’s presentation “spot on” and hopes he can return with next year’s academy classes. 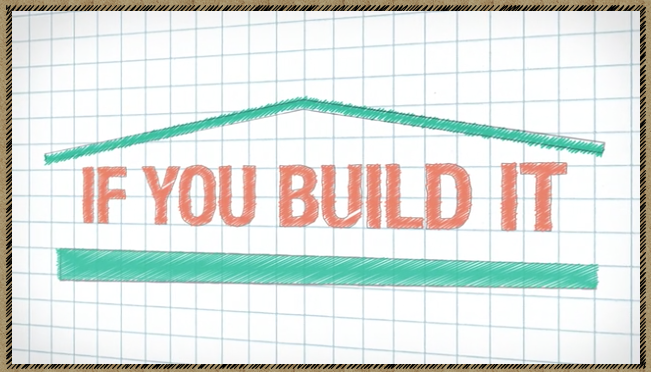 IF YOU BUILD IT is a captivating movie that follows designer-activists Emily Pilloton and Matthew Miller to rural North Carolina where they work with local high school students to transform their community and lives. 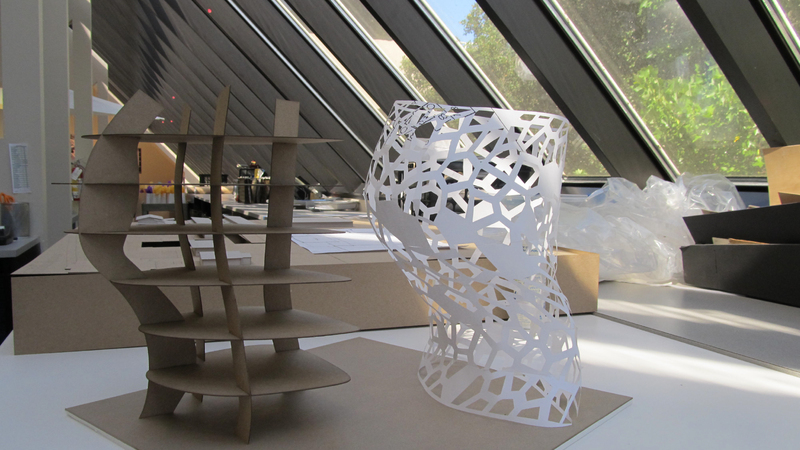 Pilloton and Miller lead their students through a year-long design and build project that does more than teach just basic construction skills – it shows them the power of design-thinking to reinvent their town and what is possible. The movie will be released on February 28th at the Landmark Cinema in San Francisco and the Shattuck Cinemas in Berkeley. It opens March 1st at the Smith Rafael Film Center in San Rafael. Watch the trailer and be inspired! Thanks to my SMPS group for sharing this great link! 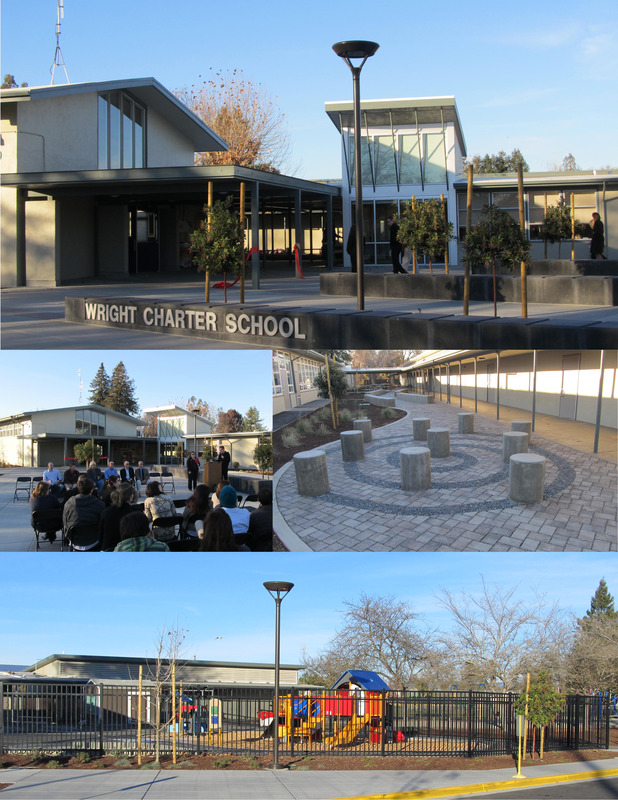 The Wright Elementary School District, TLCD Architecture and Wright Contracting attended a ribbon cutting ceremony to formally celebrate the completion of the Wright Charter School Modernization project. While the classrooms received new energy efficient lighting and HVAC systems and the administration was totally remodeled, the most visible impact of the project is the transformation school’s frontage. Improvements include a new drop off loop, entry plaza with landscaping and an expanded kindergarten play area enclosed by ornamental fencing. The exterior improvements extend to the areas between the buildings where outdoor learning environments were created to support the school’s emphasis on eco-literacy. St. Helena Montessori School welcomed the community to an open house for the new TLCD Architecture designed campus on September 6th. As many as 200 attendees saw firsthand that this is no ordinary school, nor is it an ordinary Montessori School. This 20-acre campus accommodates a much wider range of ages than most other Montessori Schools, from age 2½ to ninth grade, with an Adolescent / Farm School. The school follows Dr. Maria Montessori’s philosophy of education as an “aid to life” – viewing the child as a being whose physical, cognitive, emotional and spiritual parts are interrelated, and whose educational environment must respect that unity. Classrooms are large, with wood floors and open ceilings. Windows at each classroom building are scaled to the age of the students, and are placed at different heights above the floor accordingly. A State of California licensing inspector proclaimed them the most beautiful classroom interiors she had ever seen. The school was constructed by Eames Construction of Petaluma, and construction management services were provided by Pound Management of Oakland. 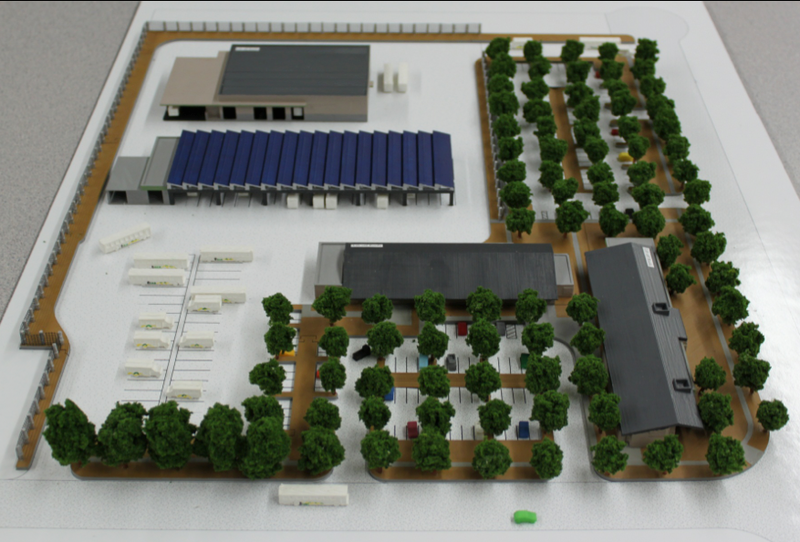 When complete the campus will feature boarding facilities, a working farm, and the new home for the Nimbus Arts Center. On March 7th, the Bennett Valley Union School District held a public ribbon cutting ceremony to celebrate the opening of the new Multi-Use Building at Yulupa Elementary School. The project, designed by TLCD Architecture, signifies the end of over 2 years of construction projects that have transformed this primary school campus in Southeast Santa Rosa. City officials, District staff, and the design and construction team were all present to welcome students and their families to this new facility. Along with the new Multi-Use Building, the local bond passed in November 2010, funded 12 new custom designed modular classrooms, an expanded library and a new soccer field with a perimeter running track. Sustainable features include a rooftop solar installation which offsets the majority of the school’s electrical usage and the reuse of old modular classrooms into a new District Office.